"… there is no such thing as nothing." – Did they REALLY say that? – Do you feel like we do, Dr. Who? – Faith, Religion, Goodness – What is the Soul of a man? – Politics… that "dirty" little "game" that first begins in the home. – Round, round, get around, I get around. I love how you taste... it's Delicious! "The Global Consciousness Project, also known as the EGG Project, is an international multidisciplinary collaboration of scientists, engineers, artists and others continuously collecting data from a global network of physical random number generators located in 65 host sites worldwide. The archive contains over 10 years of random data in parallel sequences of synchronized 200-bit trials every second." We’re now hearing the drumbeat to lower the BAC (Blood Alcohol Content) for DUI (Driving Under the Influence) from 0.08 to 0.05. However, research by the NHTSA (National Highway Traffic Safety Administration) shows in 2008, the MAJORITY of drivers involved in fatal crashes in ALL 50 states had 0% BAC. Put another way, in the MAJORITY of ALL traffic fatalities in ALL 50 states, the drivers were TOTALLY SOBER. NEW YORK (CNNMoney) — The National Transportation Safety Board is the latest federal agency to ditch its BlackBerry phones for Apple’s iPhone — and it had a few scathing words about why it’s making the switch. Research in Motion’s BlackBerry devices “have been failing both at inopportune times and at an unacceptable rate,” the agency wrote in a procurement request issued last week. NTSB spokesman Eric Weiss, citing procurement rules, declined to name any specific problems the agency has had with its BlackBerry phones. 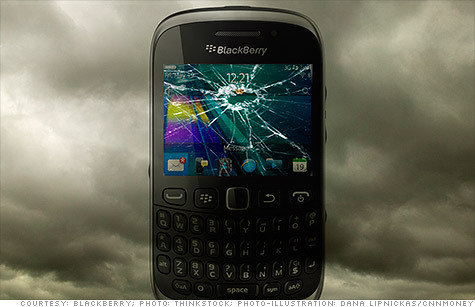 RIM (RIMM) has suffered a few high-profile outages, including a global, three-day disruption last year. RIM declined to comment specifically on the NTSB’s criticisms.